Armenia’s former deputy prime minister and minister of territorial administration Armen Gevorgyan has been appointed secretary of the National Security Council by a corresponding order issued by President Serzh Sargsyan today. 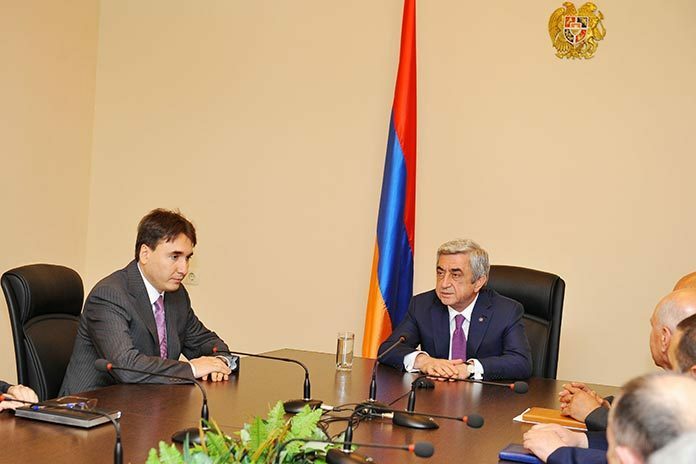 The post has been vacant since spring 2014 when its holder Artur Baghdasaryan resigned after his Orinats Yerkir (Armenian Revival) party quit the governing coalition. Gevorgyan, 42, served at different senior positions in Armenia before unexpectedly quitting the government system in October 2014. Since then he headed the IDeA Foundation and also participated in a general management course at the business school of Harvard University, USA. “As you all know, the National Security Council is an advisory body, but there has not been a single major issue that would not be discussed at the Council and that a decision would not be made on it as a result of this discussion,” the president added.